YOUR LEGACY STARTS NOW BY OWNING YOUR VERY OWN PRIVATE 40 ACRE SWIMMABLE LAKE WITH 17 FT OF DEPTH, . . . THIS IS A ONE-OF-A-KIND NORTHWOODS HOME OR RETREAT. IT HAS THE PERFECT ELEVATION AND AMAZING VIEWS OF LAKE NANCY FROM ITS VERY LARGE DECK. IT IS THE PERFECT PLACE FOR . 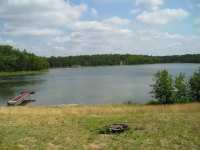 . .
BEAUTIFUL VIEWS AND A GREAT SANDY BEACH ON GILMORE LAKE! THIS WELL CARED FOR HOME FEATURES A LARGE OPEN CONCEPT LIVING SPACE WITH TWO WOODBURNING FIREPLACES. THE FOCAL . . .
VIEW ENTIRE BOND LAKE FROM THIS HOME. 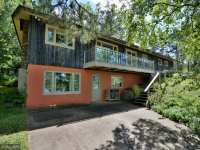 SITUATED ON 185' OF SANDY BEACH AND 2 ACRES OF LAND, THIS . . .
LEVEL ELEVATION TO 165' OF SANDY BEACH. REMARKABLE &AMP; UNIQUE LOG CHALET. OPEN LIVING WITH . . . BEAUTIFULLY MAINTAINED LOG CHALET THAT SHINES BOTH OUTSIDE AND INSIDE. SITUATED ON 105' SANDY . . .
LEVEL ELEVATION TO 165' OF SANDY BEACH. REMARKABLE & UNIQUE LOG CHALET. OPEN LIVING WITH MASSIVE . . .
LEVEL ELEVATION TO 165' OF SANDY BEACH. REMARKABLE AND UNIQUE LOG CHALET. OPEN LIVING WITH MASSIVE . . .
PAVED DRIVEWAY THROUGH THE WOODS, ARRIVE AT THIS SPOTLESS, RUSTIC ELEGANT HOME WITH RARE 4 CAR . 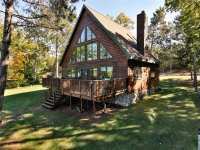 . .
WHAT A PACKAGE...45 ACRES OF WOODS AND PRIVACY, 437' OF SANDY BEACH FRONTAGE, AND 2 VINTAGE LOG . 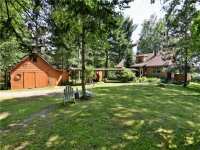 . .
WHAT A PACKAGE...45 ACRES OF WOODS AND PRIVACY, 437' OF SANDY BEACH FRONTAGE, AND TWO VINTAGE LOG . 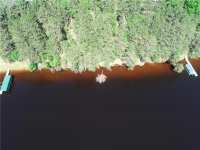 . .
HARD TO FIND LAKE PROPERTY WITH ACREAGE! �TRAILS END� IS AN OLD RESORT TURNED PRIVATE THAT HAS 41.1 ACRES AND 419 FEET OF FRONTAGE. THE CREEK FRONTAGE ALONG THE SOUTH . . .
LAKE FRONTAGES JUST DON�T GET NICER THAN THIS! 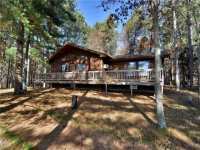 THIS FURNISHED TURNKEY HOME SITS ON A BEAUTIFUL SANDY BEACH WITH GORGEOUS VISTAS OF ONE OF NORTHWEST WISCONSIN�S PREMIER . 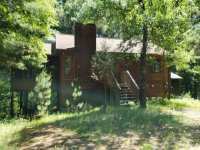 . .
40 ACRES OF WOODS & PRIVACY. APPROXIMATELY 300' OF FRONTAGE ON THE POPULAR NANCY LAKE. YEAR ROUND . 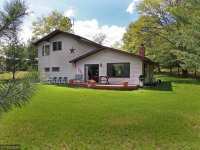 . .
40 ACRES OF WOODS &AMP; PRIVACY. APPROXIMATELY 300' OF FRONTAGE ON THE POPULAR NANCY LAKE. 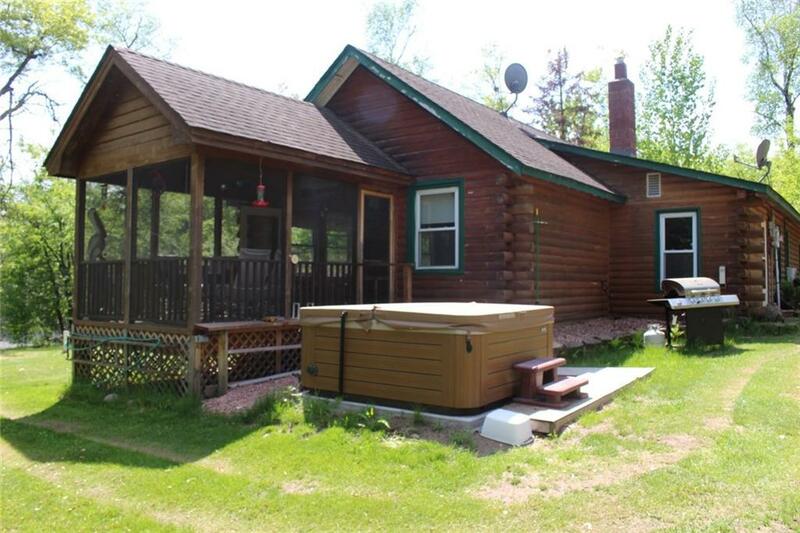 YEAR ROUND HOME WITH 3 BEDROOMS &AMP; 2 BATHS. KNOTTY PINE INTERIOR ADDS TO . . . 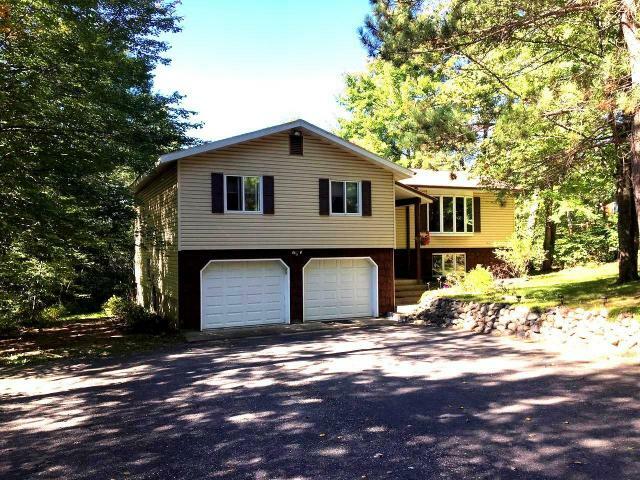 SAND BEACH AND 13' WATER CLARITY ARE YOURS WITH THIS 4BR 2BA WALKOUT ON DESIRABLE LAKE NANCY. . . . 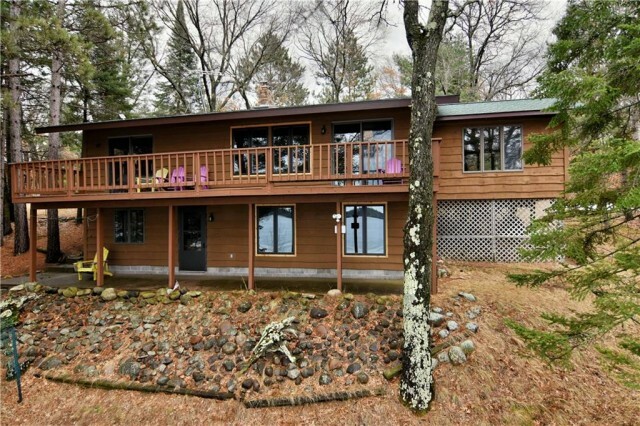 SAND BEACH AND 13' WATER CLARITY ARE YOURS WITH THIS 4BR 2BA WALKOUT ON DESIRABLE LAKE NANCY. 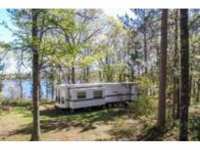 WINDING DRIVE THROUGH THE WOODS BRING YOU TO YOUR LAKE HOME WITH EASY . . .
LOVE A GRACIOUS SETTING? 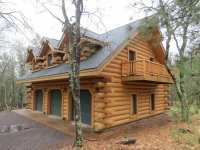 THIS CEDAR CHALET IS FOR YOU! ENTERTAINING IS PART OF THE REAL JOY OF . . . THIS LOVELY "A" FRAME STYLE HOME IS A MUST SEE! IT HAS 2 BEDROOMS AND 2 BATHROOMS TO COMFORTABLY . . .
A SPECTACULAR OFFERING ON CLEAN, CLEAR HORSESHOE LAKE. 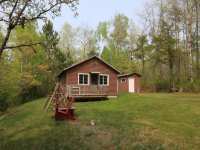 IT IS LEVEL TO THE LAKE AND VERY PRIVATE. 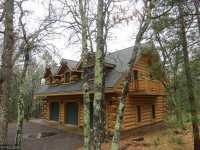 CURRENTLY ON THE PROPERTY IS A LUXURY LOG BUNKHOUSE WITH GARAGE AND ROOM . . . 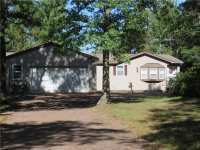 SUNNY, SPACIOUS, YEAR ROUND HOME ON A GREAT NW WISCONSIN FISHING AND RECREATION LAKE. NEWER LOFT ADDITION WITH HALF BATH OFFERS EXTRA SLEEPING ROOM, OFFICE, WORKSHOP OR . . .
ARGUABLY THE BEST SPOT HERE ON UPPER KIMBALL LAKE. GREAT VIEWS AND A SANDY BEACH. 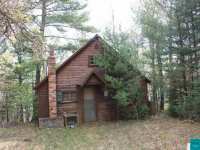 THIS VINTAGE NORTHWOODS STYLE CABIN HAS GREAT CHARM THROUGHOUT. WELL KEPT WITH A NEWER . . .
ARGUABLY THE BEST SPOT HERE ON CLEAN, CLEAR UPPER KIMBALL LAKE. GREAT VIEWS AND A SANDY BEACH. 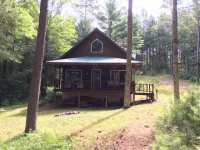 THIS VINTAGE NORTHWOODS STYLE CABIN HAS GREAT CHARM THROUGHOUT. WELL KEPT . . .
AN IDEAL SETTING HERE ON CLEAN, CLEAR LEADER LAKE. 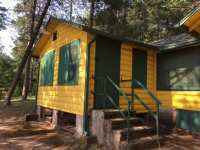 THIS TWO BEDROOM CABIN IS VERY NEAR TO THE WATER WITH LITTLE ELEVATION TO THE LAKE PROVIDING EASY ACCESS. A NICE . . .
PREMIER MINONG FLOWAGE LOT. 178' OF SW FACING HARD SAND FRONTAGE WITH MODERATE ELEVATION & 3+ ACRES . . .
CLEAR GILMORE LAKE WITH 210' OF SANDY FRONTAGE WITH SOUTHERN EXPOSURE. PRIVACY & NATURE TOGETHER ON . . .
CLEAR GILMORE LAKE WITH 210' OF SANDY FRONTAGE WITH SOUTHERN EXPOSURE. PRIVACY &AMP; NATURE . . . KICK BACK AND ENJOY YOUR TIME. THIS IS THE PLACE FOR YOU. TRAVEL THE ROAD THRU THE 3.1 ACRES TO A . . . KICK BACK AND ENJOY YOUR TIME. THIS IS THE PLACE FOR YOU. 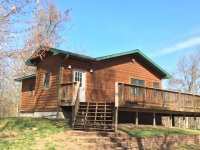 TRAVEL THE ROAD THRU THE 3.1 ACRES TO A COMPLETELY REMODELED CABIN. DECKS ON BOTH SIDES. ENTER THE FULL KITCHEN . . .
RARE 20+ ACRES WITH 1,070 FEET OF PRIVATE RIVER FRONTAGE. 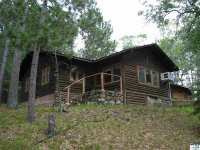 INCLUDES 2 CABINS, ARTESIAN FED POND WITH TROUT AND A RED PINE FOREST. SITE INCLUDES A SAND PINT WELL. POWER . . . 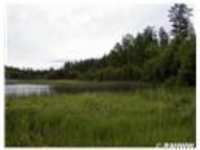 COURTESY LISTING: 1 REASON REALTY INC.
RARE 20+ ACRES WITH 1,070 FEET OF PRIVATE RIVER FRONTAGE. 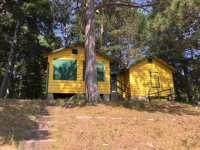 INCLUDES 2 CABINS, ARTESIAN FED POND WITH TROUT AND A RED PINE FOREST. SITE INCLUDES A SAND POINT WELL. POWER . 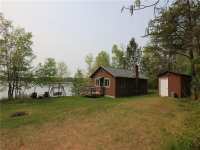 . .
DELIGHTFUL LOG SIDED CABIN NESTLED ON THE SHORES OF NORTH TWIN LAKE. 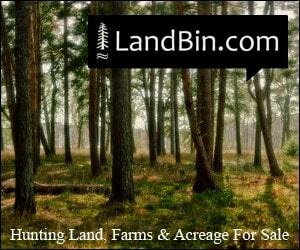 THE PARCEL CONSISTS OF TWO HEAVILY WOODED LOTS AND 200 PLUS FEET OF PERFECT LEVEL ELEVATION. LARGE . . . THIS CLEAN, CLEAR LAKE. 100' OF SHORELINE. 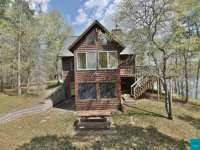 CHALET HAS WIDE OPEN CONCEPT OF LIVING/DINING/KITCHEN AREA WITH AN AMAZING VIEW OF THE LAKE. T.G PINE INTERIOR. LAUNDRY AREA, . 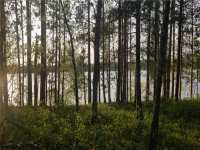 . .
PRIME LAKE FRONTAGE ACREAGE PARCEL ON NORTH TWIN LAKE, WOODED LOT, SAND BOTTOM, GRADUAL SLOPE TO LAKE FRONT, A GREAT PLACE TO BUILD YOUR VACATION HOME. RIVERFRONT LIVING AT IT'S FINEST! BEAUTIFUL LOCATION WITH 120'+ ON THE TOTOGATIC RIVER. 2 BR, 2 1/2 BA, LARGE FAMILY ROOM WITH A WALKOUT TO THE RIVER, 2 WOODBURNING . 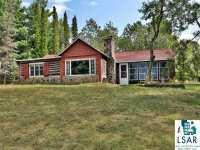 . .
320' OF FRONTAGE WITH 7.27 ACRES OF WOODS...WITH JUST ENOUGH AREA FOR IMPROVEMENTS. PINES AND OTHER TYPICAL TREES IN THE AREA. PRIVATE. ALL ON A LAKE KNOWN FOR ITS . . .
320' OF FRONTAGE WITH 7.27 ACRES OF WOODS...WITH JUST ENOUGH AREA FOR IMPROVEMENTS. PINES AND OTHER TYPICAL TREE IN THE AREA. PRIVATE. ALL ON A LAKE KNOWN FOR ITS . 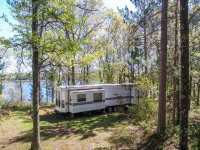 . .
AN EXCELLENT SETTING, GREAT VIEWS, AND SUGAR SAND BEACH ALL ON CRYSTAL CLEAR HORSESHOE LAKE! PERFECT SANDY BEACH WITH LOW ELEVATION. 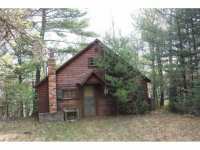 ORIGINAL 2 BEDROOM CABIN JUST STEPS . . . 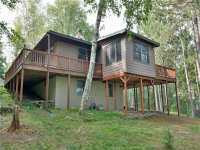 OUTSTANDING VIEWS AND SANDY FRONTAGE ON GILMORE LAKE! THIS LAKE IN MINONG HAS SOMETHING FOR EVERYONE. RECREATIONAL, CLEAR WATER AND GREAT FISHING. THE HOME SITS AMONG . 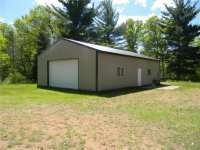 . .
3 SEASON LAKE CABIN WITH LARGER 30' X 36' POLE STYLE GARAGE. 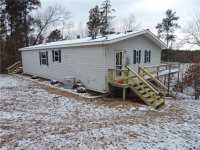 TWO BEDROOM 1 BATH , 10' X 18' LAKE SIDE DECK OFF LIVING RM WITH ADDITIONAL 3 TIER DECKING TOWARDS WOODED . . . PERFECT LITTLE HIDEAWAY ON SLEEPY EYE LAKE NEAR MINONG, WI. 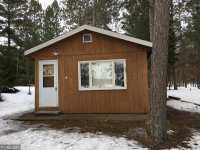 3 BED 2 BATH FULLY FURNISHED MANUFACTURED HOME LOCATED IN THE HEART OF RECREATION PARADISE. ATV-SNOWMOBILE . . . 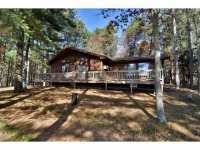 OUTSTANDING LAKEFRONT SETTING ON A SEMI-PRIVATE PICKEREL LAKE. ONLY TWO OTHER OWNERS (ONE BEING THE DNR). 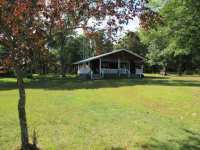 THIS 5+ ACRE PROPERTY HAS LOW ELEVATION TO THE WATER. GOOD . . . 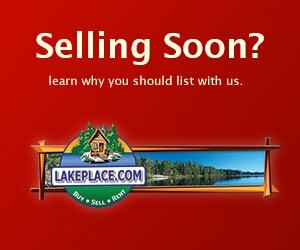 IN THE HEART OF THE NORTHWOOD'S COME BUILD YOUR DREAM HOME ON BEAUTIFUL CRYSTAL CLEAR BIG BASS LAKE. 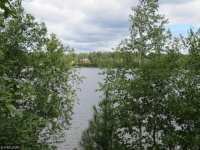 THIS WOODED LOT HAS A NORTH WEST VIEW OF THE LAKE. THESE LOTS ARE . 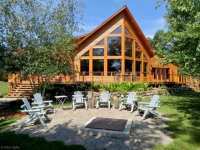 . .
A GREAT NORTHWOODS RETREAT ON THE TOTOGATIC RIVER. 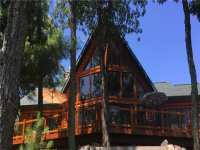 THIS CEDAR CHALET HAS AN OPEN FLOOR PLAN WITH A LARGE LOFT BEDROOM. THE HOUSE HAS BEEN WELL KEPT AND HAS A METAL ROOF . 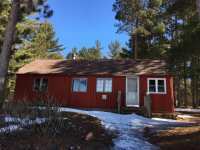 . .
YEAR ROUND HOME 3 BED, 2 BATH CLOSE TO NANCY LAKE. 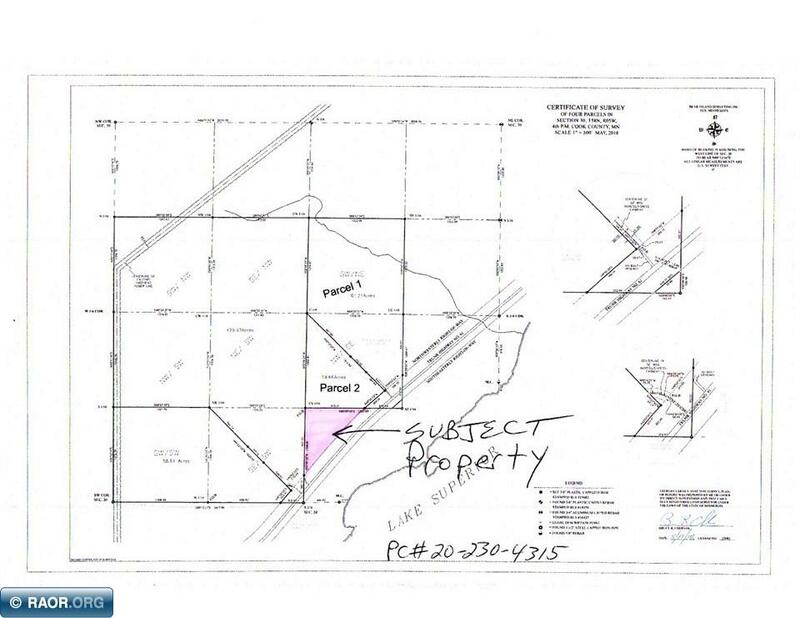 ADDITIONAL LAND IS FOR SALE NEXT TO IT. 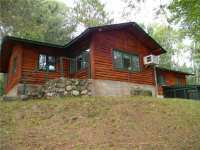 PERFECT LOCATION, CLOSE TO TRAILS, LAKES, HUNTING AND A QUIET RELAXING SPOT UP . . . 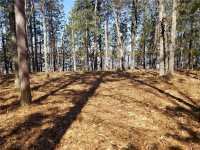 THIS WASHBURN COUNTY SALE TRACT FEATURES BLACKTOP PUBLIC ROAD FRONTAGE ON MIDDLE ROAD WITH ELECTRIC UTILITIES AVAILABLE AT THE STREET. 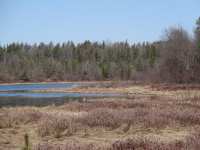 IT IS ADJACENT TO DNR CONSERVATION . 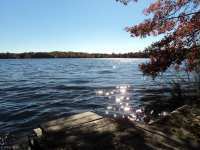 . .
BEAUTIFUL AND PRIVATE 3.72-ACRE BUILDING LOT ON NANCY LAKE. MATURE PINES AND HARDWOODS. 3-BEDROOM SEPTIC SYSTEM AND DRILLED WELL IN PLACE. CLEAN AND WELL-MAINTAINED 2001 . . . IN THE HEART OF THE NORTHWOOD'S BUILD YOUR DREAM HOME ON BEAUTIFUL CRYSTAL CLEAR BIG BASS LAKE. THIS WOODED LOT HAS A NORTH WEST VIEW OF THE LAKE. THESE LOTS ARE VERY . . . 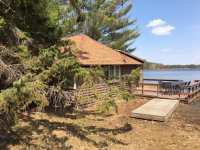 TOTALLY SECLUDED LAKE LOT- HOME HAS A STRUCTURE NEEDS A HANDY MAN OR TORN DOWN. 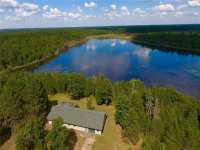 AMAZING 1 ONE A KIND LAKE LOT WITH OVER 2 ACRES. BUILD YOUR DREAM HOME HERE. CRYSTAL . 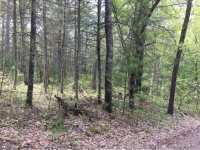 . .
3+ ACRE HEAVILY WOODED LOT ON ALEXANDER LAKE NEAR WASCOTT/MINONG, WIS. NICE ELEVATION TO WATER'S EDGE. VERY PRIVATE. CLEAN CLEAR WATER. GREAT SWIMMING AND FISHING. GOOD . 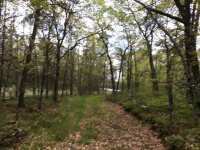 . .
BEAUTIFUL HEAVILY WOODED LAKE LOT NEAR SPOONER/TREGO/MINONG, WIS. ON MIDDLE LAKE, WHICH IS CONNECTED TO SOUTH TWIN LAKE & NORTH TWIN LAKE ON BOTH SIDES. TWO LAKES . . .
BEAUTIFUL HEAVILY WOODED LAKE LOT NEAR SPOONER/TREGO/MINONG, WIS. ON MIDDLE LAKE, WHICH IS CONNECTED TO SOUTH TWIN LAKE &AMP; NORTH TWIN LAKE ON BOTH SIDES. TWO LAKES . . .
A GREAT LOT ON A GREAT LITTLE LAKE. NO WAKE, BUT LOTS OF ROOM FOR THE LOONS AND PANFISH. NICE SANDY BEACH FOR SWIMMING. SOME TREES. SHED FOR STORAGE. EASY ELEVATION TO . . . YES, THIS IS A GREAT LOT ON A GREAT LITTLE LAKE...NO WAKE, BUT LOTS OF ROOM FOR THE LOONS AND THE PANFISH. SAND BEACH FOR SWIMMING. SOME TREES. EASY ELEVATION TO THE . . .
A NICE PRIVATE LOT HERE ON BEAR TRACK LAKE. GREAT FISHING HERE AND A GOOD DEPTH ON THE LAKE AS WELL. 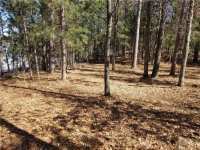 NICELY WOODED WITH A GOOD MIX OF TREES AND A GREAT VIEW OF THE LAKE. . . .
NEARLY AN ACRE OF LAKE LOT FOR UNDER $50K. 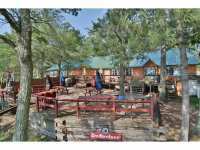 BEAUTIFUL AREA WITH MULTIPLE FISHING LAKES WITH OVER 112 FEET OF WATER FRONTAGE. BUILD YOUR LAKE HOME ON A CRYSTAL CLEAR . . . 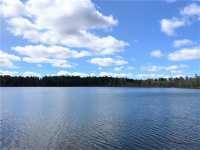 HUGE TOWERING PINES, WESTERN EXPOSURE AND LEVEL ELEVATION COULD BE YOURS TO ENJOY ON A PRIVATE LOT ON SAUNTRY'S POCKET LAKE. THE LOT GRADUALLY SLOPES DOWN TO 105' OF . 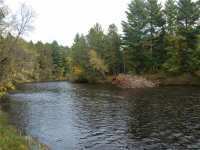 . .
RIVER...WOODS...A SINGLE LOT WITH 4 ACRES AND 300' ON THIS PEACEFUL RIVER, WHICH EVENTUALLY RUNS INTO THE NAMEKAGON AND INTO THE ST. CROIX. MULTI RECREATIONAL AREA, . 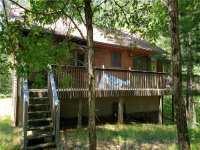 . .
RIVER.....WOODS....A SINGLE LOT WITH 4 ACRES &AMP; 300' ON THIS PEACEFUL RIVER..... .....WHICH EVENTUALLY RUNS INTO THE NAMEKAGON INTO THE ST CROIX. MULTI-RECREATIONAL . . .
SERENE SETTING IN NORTHERN WI JUST OUTSIDE OF MINONG. 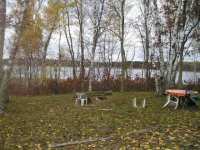 THIS FANTASTIC OPEN BUILDABLE LOT (BACK LOT ) FROM THE BEAUTIFUL LAKE NANCY- GREAT VACATION FOR YOUR OUTDOORSY IN . 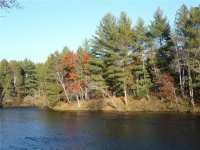 . .
RIVER...WOODS...GREAT PRICE...A SINGLE LOT WITH 100' ON THIS PEACEFUL RIVER...WHICH EVENTUALLY RUNS INTO THE NAMEKAGON AND INTO ST. CROIX. MULTI-RECREATIONAL AREA, . 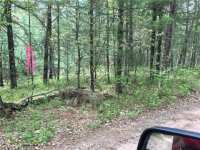 . .
RIVER.....WOODS.....GREAT PRICE....A SINGLE LOT WITH 100' ON THIS PEACEFUL RIVER..........WHICH EVENTUALLY RUNS INTO THE NAMEKAGON INTO ST CROIX. MULTI-RECREATIONAL . . .
Two and a half hours northeast of the Twin Cities of Minneapolis/St. Paul you will discover a charming village getaway unlike anything you have ever before experienced. 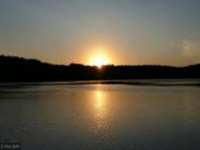 Whether you are looking for a short weekend camping trip or an extended vacation spot, Minong, Wisconsin is the perfect destination. If you are a person who enjoys crowded venues with a raucous nightlife, Minong is probably not the vacation destination for you. A sleepy village with a population of approximately 500, Minong is located in Washburn County, Wisconsin. While Minong itself is fairly remote and secluded, larger resorts towns including Hayward, Spooner and Cable are all within easy driving distance. 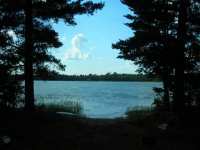 The Lac Courte Oreilles Indian Reservation is also a mere half an hour drive from Minong. The Indian Reservation has its own casino, restaurants, gift shops and cultural activities sure to delight many of the members of your travelling party. Minong itself is easily accessible from U.S. Highway 53 and Wisconsin Highway 77. It lies in the far northwest corner of the state. 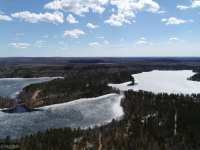 Once referred to as Pleasant Valley by Native American peoples, Minong offer some of the finest outdoor recreation available in the state of Wisconsin. It is a truly different pace of life for most of us. Everyone knows each other in the village itself; however, they are always willing to extend a welcoming hand to newcomers who travel to their home. Minong is also home to a playground, three ballparks, a fishing pond, ball fields, a basketball court, horseshoe pits, a volleyball court, an indoor/outdoor pavilion perfect for family picnics and, of course, a wide variety of charming local businesses. When you visit Minong, be prepared to kick back. Put your cares behind you, clear your mind and just absorb the natural beauty surrounding you, existing in peace and harmony with the natural beauty that surrounds you. Minong provides access to many outdoor multi-use trails. A mere nine miles from Minong, Totogatic Park provides an access point to a large 1500 acre flowage where folks can boat, fish, swim or camp, depending on the season. Locals and visitors alike can take a long, leisurely hike on the gorgeous trails surrounding Minong, including the ones found in Totogatic Park. ATV riders will be able to access some designated trails to experience the thrill of racing through the old world forests. In winter, the trails are often available for snow mobiles. Ice fishing, cross country skiing, ice skating and snow shoeing are but a few of the other outstanding outdoor activities available during the frozen months of winter. Hunting is not merely a sport here in northwestern Wisconsin; it's a way of life. If you plan to hunt, make sure you are doing so in compliance with local regulations and hunting seasons. While there are countless ways to enjoy a Wisconsin day in the great outdoors, perhaps none is as iconically Wisconsin as fishing. 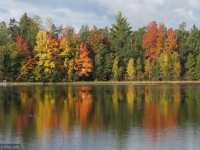 The lakes here are brimming with walleye, perch, northern, smallmouth bass, largemouth bass, crappies and panfish. Any knowledgeable angler will tell you that the fishing in these parts of northern Wisconsin is some of the best in the world. Relax; catch some fish through the day. At nightfall, gather your family around a huge bonfire, laughing and telling stories reliving their day in the North Woods. Experience the satisfaction that comes with not only preparing your dinner over a campfire, but also catching it earlier in the day. This is the hunting and gathering lifestyle at its best! After a night of relaxing around a roaring bonfire, retire to your vacation cabin in the woods. 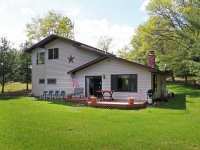 Whether you are interested in renting or buying, there are countless real estate options available in the North Woods. From luxurious lake properties with gourmet kitchens, hot tubs, and more to rustic lakefront cabins perfect for a cozy, romantic getaway to plenty of lake lots, you are sure to find the perfect solution for accommodations in and around Minong. Be forewarned though! If you are interested in purchasing real estate in and around the Minong area, it is vital that you have a knowledgeable real estate professional assisting you. Desirable lakefront properties can move very quickly here in the Minong region and a professional agent can help you quickly identify and move on a property that will suit your needs. If you are looking for such a real estate professional, be sure to check out the folks at LakePlace.com. Always willing to assist you with your real estate needs, the agents of LakePlace.com are knowledgeable in the local market, prompt and courteous. If you are someone who enjoy kitschy, overrun vacation destinations, Minong is probably not for you. However, if you are seeking a new sort of vacation, a vacation from the ordinary craziness of our everyday lives, Minong is the perfect solution. Peaceful, secluded, welcoming and full of some of the most spectacular scenery you will ever encounter; plan your visit to Minong today! If you are seeking a truly restful, rejuvenating and tranquil vacation this year, consider traveling to the serenely peaceful town of Minong, Wisconsin. 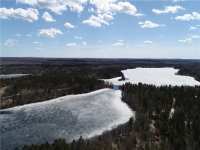 With a population of approximately 1000 permanent residents, Minong is a small village set in the breath-taking Northwoods of northwestern Wisconsin. So this year, avoid the hustle and bustle of the crowded amusement park. Avoid the long lines and crushing crowds at the packed tourist traps. Re-connect with nature and refresh yourself in Minong, WI. 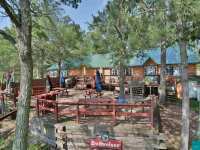 Located along the northern border of Washburn County, Minong is a restful oasis nestled in the heart of the Wisconsin Northwoods. From Minong, the larger towns of Hayward and Spooner, with their plethora of dining, shopping and attractions, are easily accessible for great day trips. Minong itself features several excellent restaurants, including Boot Legger's Bar and Grill, Captain Dan's, Club Northern, Flap Jacks and Danny's Village Inn. Additionally, vacationers will find a miniature golf course, curio shops and even an old-fashioned ice cream parlor in this quaint and charming town. From budget motels to camping, Minong features a variety of low cost accommodation choices. 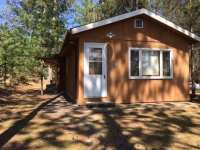 For more private digs, consider renting one of the fabulous local cabins along one of the calm, crystal lakes of the region. Some vacation homes may even be available for time-share arrangements or purchase. Regardless of the type of accommodation you and your family - seek, you are sure to find your ideal in or around the Minong area. Golfers visiting Minong are sure to enjoy playing a round at the beautiful Black Bear Golf and Tennis Club, located along Nancy Lake Road. 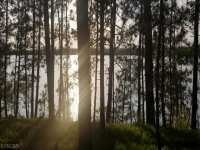 For other outdoor activities, consider boating and fishing along one of the many area lakes, hiking through the majestic pines forests or just relaxing along the shores of one of the area lakes. In total, Minong boasts twenty-seven area lakes. Visitors communing with the great outdoors may even be lucky enough to catch a glimpse at some of the local wildlife, including bald eagles, deer, elk or even the occasional moose. During hunting season, hunters will delight in the acres of untouched wilderness. Hunting, fishing and boating supplies are readily available in the town of Minong. In winter, ice fishing is a favorite area pastime. For guaranteed hunting and fishing success, consider hiring an experienced area guide for your expedition. If you find yourself in Minong in August, be sure to check out the Minong Summer Days held annually during the second week of August. This weekend long event features everything from softball tournaments, inflatable rides for the kids, a parade, concerts, a chili cook-off, food and games. Additionally, local artisans sell there wares during this delightful festival. Saturday night brings a spectacular fireworks display. For true nostalgic fun, Minong Summer Days cannot be beat! From Minong, the twin ports of Duluth, Minnesota and Superior, Wisconsin are an easy hour's drive north where visitors can relax along the shores of Lake Superior and watch the large lake boats port. 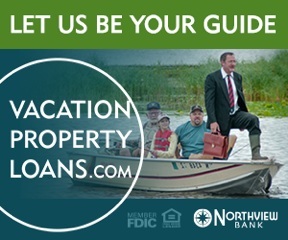 Here you can charter a fishing expedition out onto Lake Superior, visit the Duluth Children's Museum with your kids, splash down a giant water slide at The Edge indoor resort water park, or stroll through the excellent Great Lakes Aquarium. Explore the history of the railroads and maritime industries of the region at the Lake Superior Railroad Museum and the Lake Superior Maritime Visitor Center, respectively. History buffs should not miss the historic Congdon family estate of Glensheen where visitors can explore the early 20th century mansion of this affluent family amidst the historic furnishing and decor. With an enormous variety of museums, attractions, dining and shopping venues combined with easy accessibility, Duluth and Superior both make exciting day trip destinations from the town of Minong. Hayward, home to many attractions such as the National Fresh Water Fishing Hall of Fame and the Wilderness Walk Zoo and Recreation Park is also an easy drive east of Minong. Families will enjoy spending time in one of the many public parks of Minong. 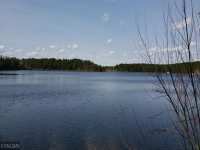 Pack a picnic lunch and head out to Bond Park; Minong Town Park, situated along the northern edge of Bass Lake; or Totagatic County Park, located on the Minong Flowage. Kids will delight at the children's fishing pond in the small park located on the east side of town. Relax along the shores of one of the many area lakes. Rent a boat or canoe for a leisurely paddle about the lake. 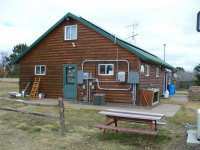 Trails abound for hiking, mountain biking, snowmobiling, dog sledding or riding ATV's in and around the Minong area. If cross-country skiing is your thing, be sure to check out the world famous Totagatic Ski Trail, offering beautiful trails through the wintry Wisconsin wilderness. With its quiet, relaxed pace of life combined with easy access to the comforts of modern amenities and attractions - Minong, Wisconsin is the perfect choice for your family vacation this year!